Over the last 1.5 years we worked on a completely new product, the new Semplice — A new tool to build websites with, even more specifically, online portfolios. Although, over the last couple years (3 years since the original launch) we learned that people use it for pretty much anything. The new Semplice 4 is now finally live and you can see our favorite new things right here. To keep it short: It’s a portfolio system (based on WordPress) that gives you the power to design your portfolio (or any website really) without knowing how to code. Semplice is great for detailed case studies and custom layouts because it’s not based on templates, but lets you start with a blank canvas. For us, building with Semplice means building with pride. The result should be something you’re proud of instead of just picking a template everyone uses and filling in the blanks. 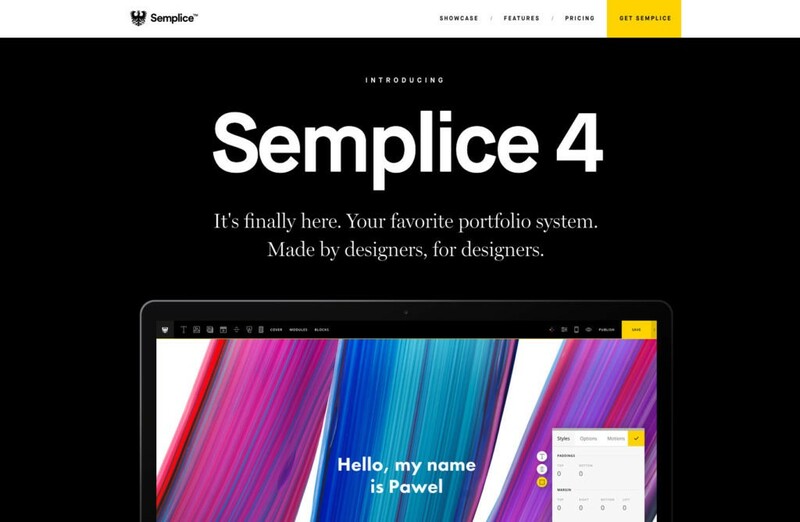 The new Semplice 4 is finally live! Personally, one of the biggest challenges over the last year has been motivation. We knew we had to re-design and re-develop everything from scratch, and we knew it’s going to be a ton of work. Originally we roughly calculated 6–8 months until we could start a beta program. Oh boy, we’ve been soooo wrong. In the end, we clocked in 16 months of development work. As you can imagine, the frustration that builds up over such a time frame is enormous, especially after delaying our launch so many times. But we did it, and below I like to share a couple things about our process and other random bits and pieces. As you can imagine it has been a rollercoaster ride so far, but if I could do it again I definitely would. One of the most important things I learned in the last couple years is how differently working on my own products compares to everything else I did before in my career. If I compare to to working full-time, working in my own design studio or freelance, I’d say building my own products has been the hardest but also the most rewarding. Rewarding because everything you work on everyday is all yours, you have full freedom and you can theoretically do whatever you want, no boss or client telling you what to do. But then at the same time, that freedom can also be one of the most frustrating things about building your own thing. Working full-time gives me the benefit of getting paid every month, even if I wasn’t very productive at times. On top of it, if I don’t feel super motivated myself, someone will tell me what to do (my boss or manager). Same goes for freelancing or working for clients, someone will always tell you what to do at some point, there is more structure to it to some extend. Surely, that doesn’t make you a good designer or worker, but you’ll still manage to get by and pay your bills even if you aren’t fully invested in what you do. But working on your own products and ideas, all of these things fade away. There is no one there to motivate you, to push you, to remind you or to just give you company when you feel a little down. The Semplice team is small, and fully remote. Everyone on our team works remotely from anywhere in the world. Some of our team members are more static, and some like to travel around while working. For example, five people worked on the new Semplice, and all five worked from a different time zone. As you can imagine, that needs some serious coordinating, or some fucked up sleeping schedules for some of us (which also is and was the case). We love Basecamp and use it for collecting ToDos in lists. We have lists for everything, bug reporting, backlog, marketing todos and so on. Basecamp is basically as the name already suggests, our base. The only other tool we occasional use is Google Docs for documents, but we still organize and link them in Basecamp. 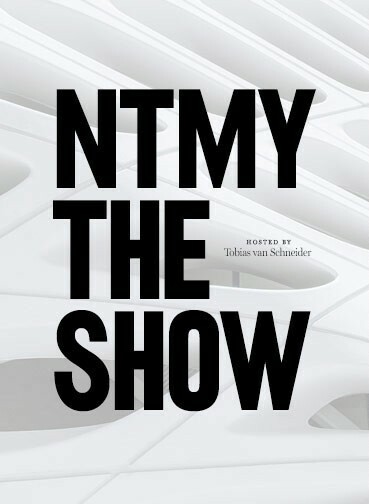 As shared in one of my previous weekly emails, we use daily status updates that are categorized into “What I’ve done today, What I will do tomorrow, and what I need help with”. These status updates helps us keep an eye on what happened 12 hour ago, and what will happen in the next 12 hours. Basically short term planning. We don’t bill any hours to our clients, but I still like time tracking because it gives us a good idea of how long we spent on certain tasks and therefore plan better for the future. I’m a very visual person and I always need to see the work on a calendar. Even though it’s very hard to plan things like development work based on days or weeks, I still like to plan and visualize it, even if we move it around and change it every week. Teamweek gives you a birds eye view on your project and helps you estimate how long you may need for certain features. PS: Couple tricks that help: Once I discuss these little “sprints” with the developer, I usually double the estimated days and add a little buffer. So for example, if the developer on my team tells me he needs 5 days for feature XYZ, I add at least 9 days to the calendar. 1–2 days buffer in the beginning for unexpected planning and ramping up, and 2–3 days after for unexpected issues during testing. So I basically roughly double the initial estimates, just to keep the expectations realistic. Of course, if it turns out to be done faster, I use that buffer for other features down the line. The best thing that can happen is that we would launch earlier than we planned (rarely happens, I can tell you that already). From the very beginning we decided that Semplice should not run on a traditional SaaS pricing model. That means, we went against offering Semplice on a subscription model and instead offered it as a one time payment product. While that puts a lot of pressure on us, I still believe it’s one of the reasons Semplice works so well in a market that is saturated by subscription only products. With Semplice we basically decided to charge for software the way it was done back in the days. You purchase Semplice as it is, and you can use it as long as you like in the future. The same way as you purchased Photoshop for example 15 years ago. You buy it once, and use it as long as you like, until you may pay to get a newer version, which is of course optional to you. Semplice is self-hosted and therefore, if you build a website with it, you can use it as long as you want without paying us a single cent in the future. 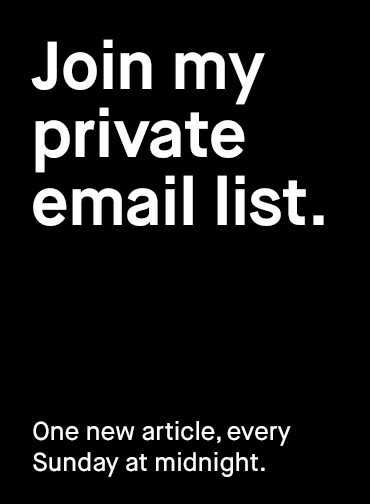 At some times this decision turned out to be challenging as most people are used to the subscription model or have expectations of getting free updates for a lifetime. But we’re still trying to make it work while considering alternative pricing models in the future that could work for both, the customer and of course us so we can survive as a company and keep building Semplice. If you’re interested, you can check out the new Semplice 4 right here. 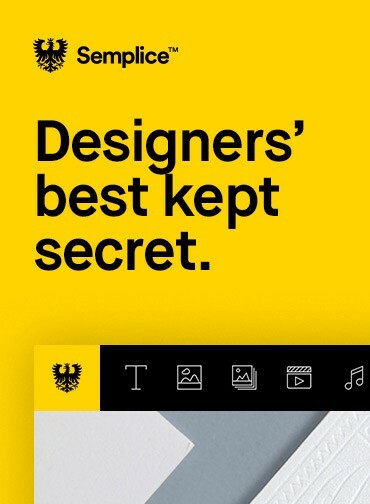 Especially if you’re a previous Semplice user, you will find anything you need to know right there.